"Can more accurately track those yoga sessions. Another new workout type for hiking." New rolling mile metric in workouts, pace alerts will ping how you're doing, and cadence shows steps/minute. 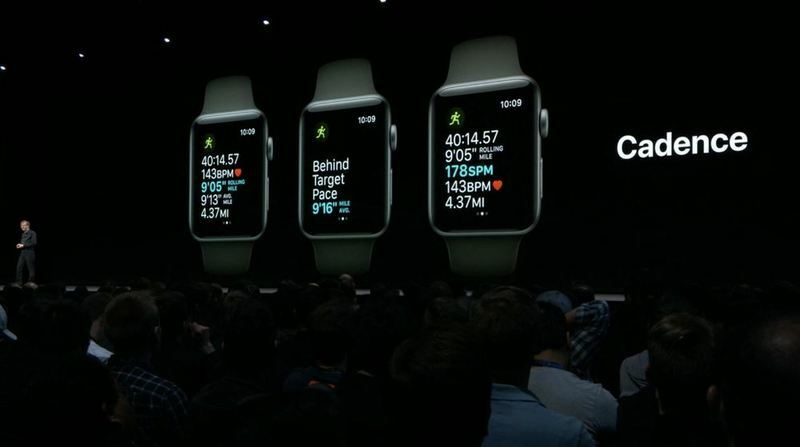 "We're adding automatic workout detection. Will offer to start tracking a workout if it senses you're beginning one. Even if you push start after the workout begins you'll get retroactive credit." Watch will also suggest you end the workout when it detects you're not moving anymore, etc. Automatic workout detection at last, and will work backwards if you started without beginning "workout" - similar to other devices. And will automatically suggest ending if you stopped. Keeping pace w existing fitness devices. 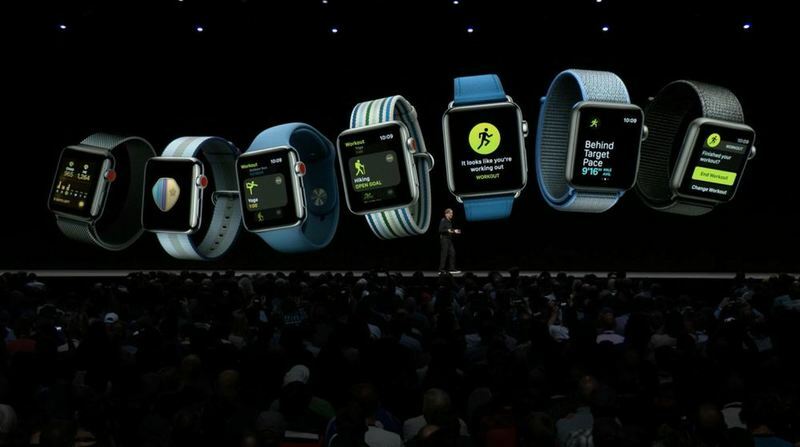 "Apple Watch enables you to remain in the moment while connected to the people you care about." "staying connected with people you love is something our customers love about Apple Watch." "First you choose who you want to Walkie-Talkie with. They receive a one-time notification. Then just press to talk, friend can hear your voice. They feel a haptic right before voice comes out. Works over cellular and WiFi. Walkie-Talkie mode will work instantly over cellular or Wi-Fi on Apple Watch, makes a lot of sense. In homes, like an intercom. 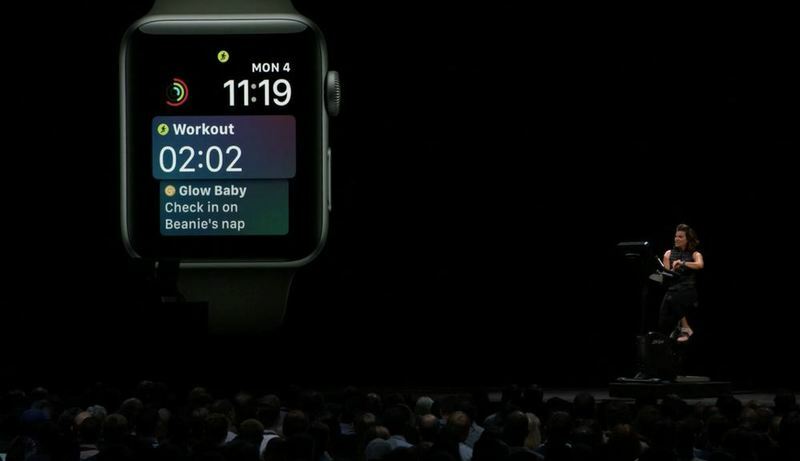 "Last year we introduced the Siri watch face to present the right information to you at the right time. ... 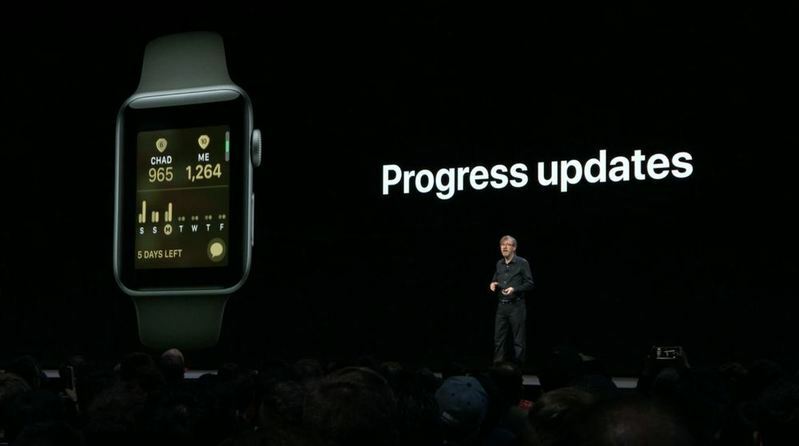 Enhancements will include live content, sports, maps, heart rate. Also adding Siri Shortcuts. "Also for the first time you can use third party apps on the Siri watch face." Siri Shortcuts on watch make a lot of sense. I could see people programming that watch face in all sorts of ways, now. "Currently to talk to Siri you raise your wrist and say 'hey Siri.' .. No longer have to say 'Hey Siri,' Now can just raise wrist and talk to Siri. No more "hey Siri" when raising wrist, which saves time. More interactive notifications. Can check in and share flight details right from application on Quantas app. Yelp app - tells you your table is ready but if you need more time, you can tap right in the notification. Also improved message notifications. WatchOS 5 has integrated Webkit so can view web content, like seeing restaurant menus. WatchOS 5 now has WebKit! Can see websites and look at links in messages. So useful. "With WatchOs 4, we introduced an entirely new way to listen to music on the go. ... with WatchOS 5, we're giving you even more to listen to. The Apple Podcast app is coming to Apple Watch." Demo time. Fitness demo while biking on stage. This demo is still going on. Are we meant to be less or more connected to everything? "In WatchOs we've enabled even deeper integration on the watch for apps." "You can quickly do more without even opening an app like extend parking." 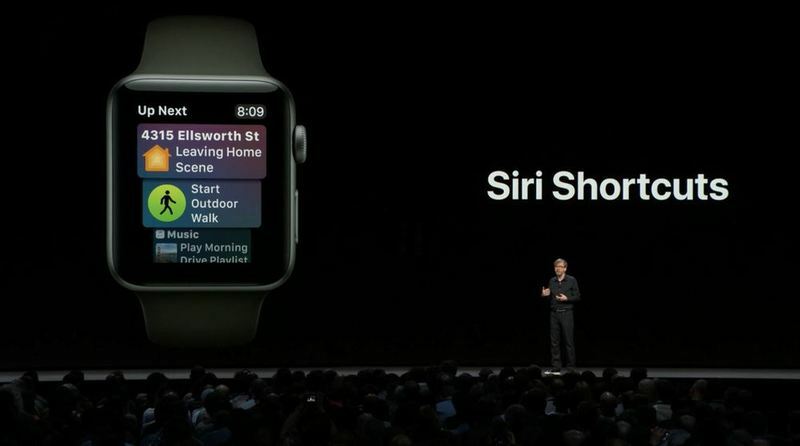 "You can even use your custom Siri commands that you created on your phone to talk on your watch."